The 25th European Meeting of Cultural Journals took place in Oslo from 29 November to 2 December 2013. The meeting was organized by the European network of cultural journals, Eurozine, in cooperation with the Norwegian Association of Journals and Eurozine partner journal Syn og Segn. More than 100 editors and intellectuals from Europe’s leading cultural journals participated in the event. The conference report provides an overview of four exciting conference days. Under the heading “Making a difference. 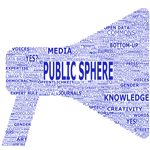 Opinion, debate and activism in the public sphere”, the 2013 conference focused on cultural and intellectual debate and the production of the public sphere. The public sphere, or die Öffentlichkeit, is not something given, a space detached from the rest of society. It is produced – over and over again. Therefore it is all the more important to ask who is active in the public sphere and what roles do they play? Where does the debate take place? In which media or which public space? Is there a difference between an intellectual and an expert? Are theory and action, discourse and protest, separate entities or should they be thought of together? These were some of the questions addressed at the Oslo meeting. The programme included panels on the changing role of experts in debates on diverse issues such as economy, climate change and psychiatry, and on how new social movements, academics and artists are redefining the relation between discourse and research, on the one hand, and political activism on the other. Tweets The Twitter hashtag of the conference is #eurozine2013. 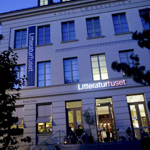 Five floors of culture: The main conference venue is Litteraturhuset. This is arguably the biggest “House of Literature” in Europe: lectures, readings, workshops, a writers’ apartment, journals’ editorial offices, a bookstore and a great restaurant… 3500 m2 of literature and magazines on five floors. 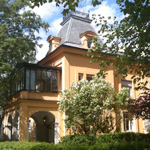 Fritt Ord: Parts of the conference will also take place at the Fritt Ord Foundation. Focussing on freedom of expression, Fritt Ord was established in 1974. The foundation supports various projects in the fields of media and democracy both in Norway and abroad.They have, among other institutions, funded the Free Word Centre in London and the House of Literature in Oslo. Oslo City Hall: The Welcome reception of the conference will be held in Oslo City Hall, venue of the Nobel Peace Prize Ceremony. Designed by Arnstein Arneberg and Magnus Poulsson and completed in 1950 after delays caused by two world wars, the building treads a line between national-romanticism, classicism and functionalism. 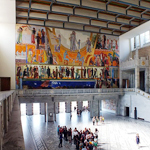 Interior frescoes represent Norwegian history and Edvard Munch’s painting “Life” is also on display.